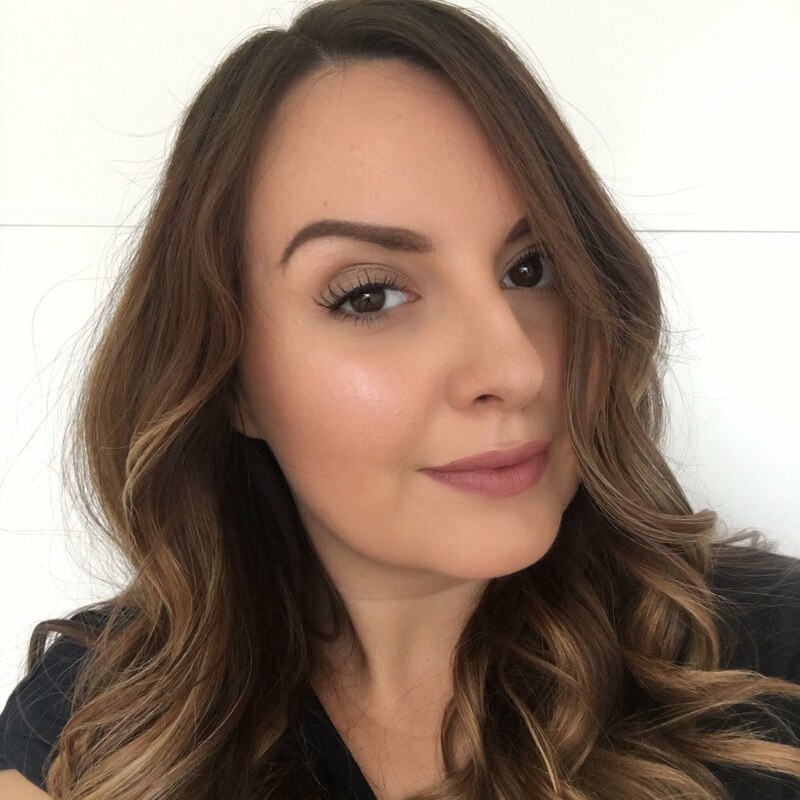 When I was a kid my Mum called me the 'pink and purple people eater' because those were my favourite colours and I would always put them together. 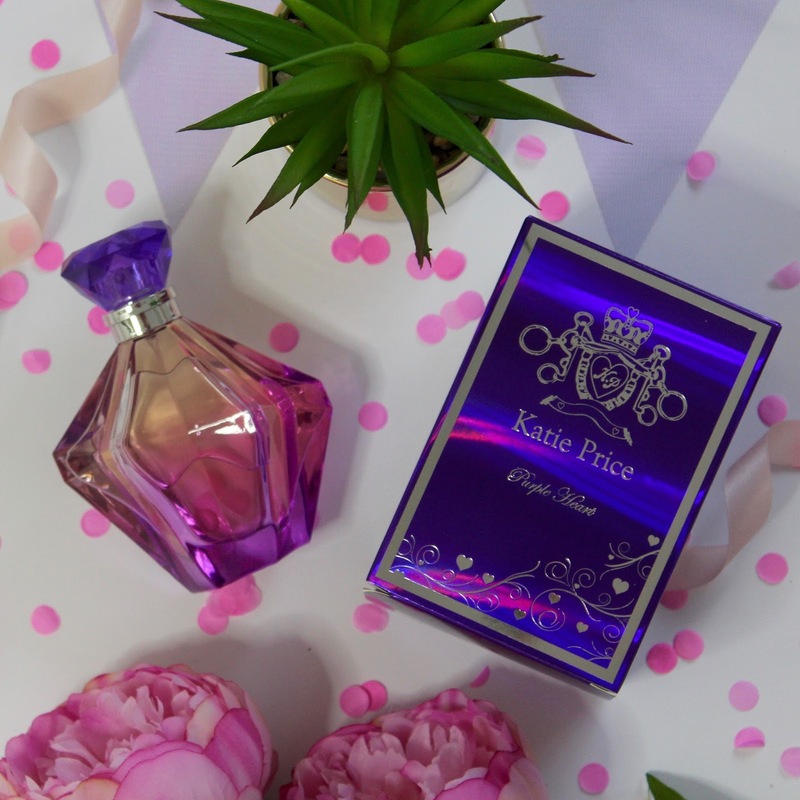 I think back then if I'd been able to create a perfume, it would have looked exactly like this one by Katie Price! 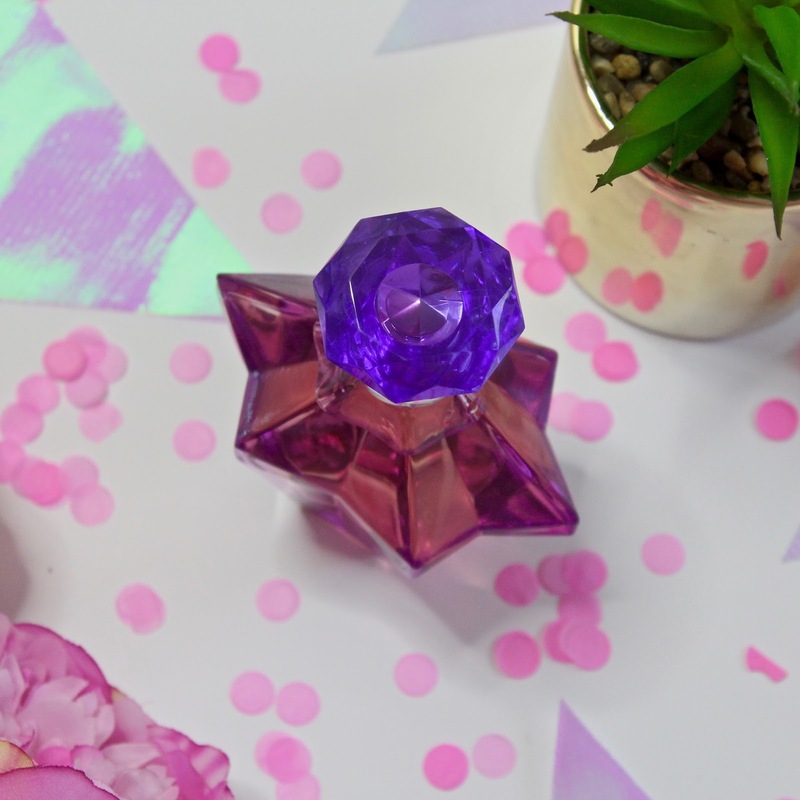 All the gorgeous shades of Pink, purple and holographic to boot! 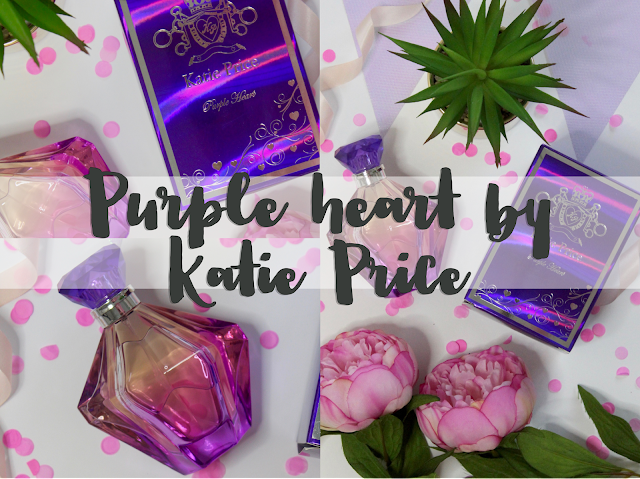 The fragrance is called Purple Heart, and it's available exclusively from Tam Beauty - the Makeup Revolution guys. I know there can be a lot of snobbery around celebrity fragrances, but to me, it's all about whether or not I like the styling and the scent. The pretty packaging initially won me over, and I wasn't disappointed by the scent either. 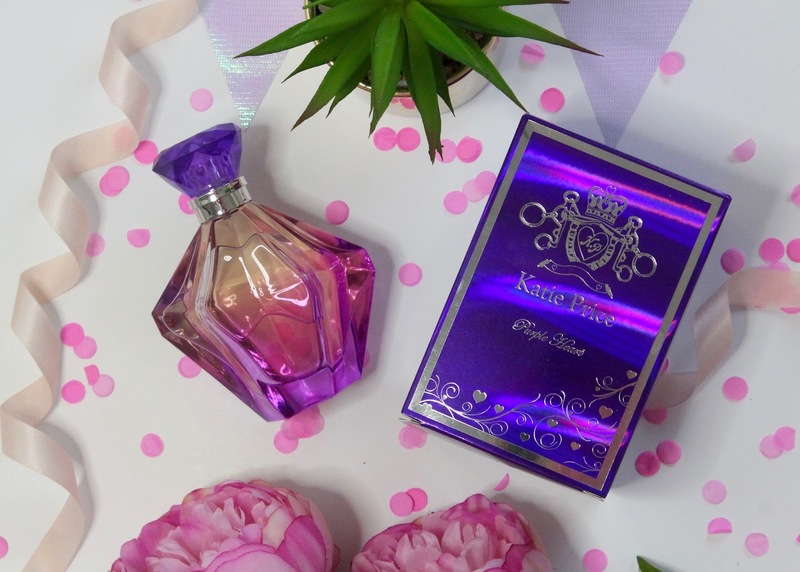 The fragrance notes are raspberry, bitter orange, patchouli and honey. 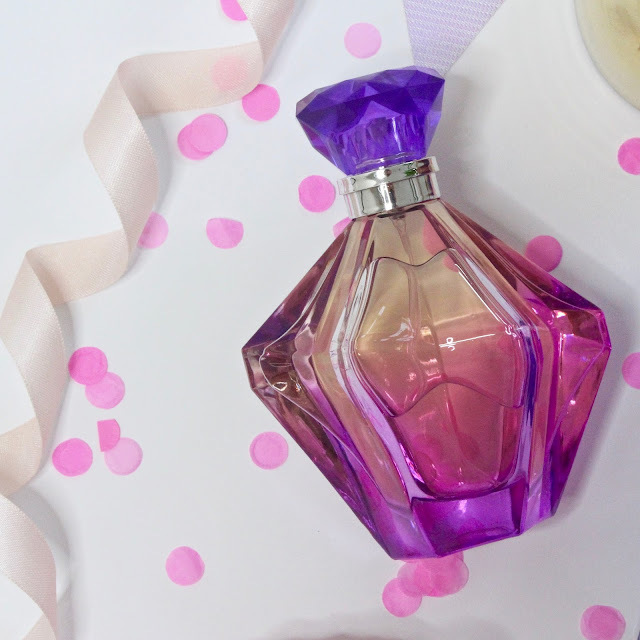 Together they make for a scent that's floral, musky, creamy and sweet but not overly so. It's not a unique scent, and actually seems familiar to me, but it's a lovely girly, daytime fragrance. It's not too strong, but also it doesn't last all day either, but at £20 for 100ml I can't really expect it to!